Geoff Ind Animation: Old Well Modeling and Texturing. I have been very busy over the long Easter weekend creating some new work for my demo reel. I started the modelling on Thursday morning and worked through till the the afternoon of Easter Monday. The model itself was complete in less than a day, with about half a day to unwrap and layout all of the UV's. By far the longest part of the work was creating all of the various texture maps (36 in total when you include all of the variations, bump, specular and colour maps) and setting up all of the materials. All maps where painted in Photoshop completely from scratch using some reference material but no photographs where used in the completed textures. this is the final complete model rendered out of Maya as colour and occlusion passes and then comped back together in After Effects. Looks great, is there a story or script this well belongs to Geoff? This is a stand alone piece made specifically for my demo reel. 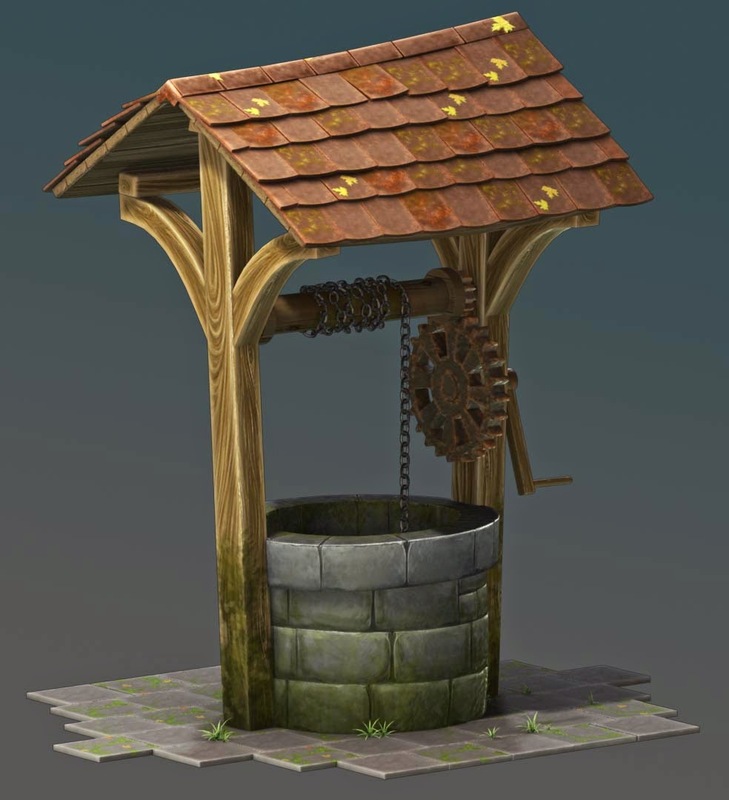 I came up with the Idea of a well because it has plenty of opportunities to showcase my texturing skill level for potential employers. That is not to say that It cant be included in a future project. It came out really great and I had heaps of fun painting the textures. Ill do a breakdown of it over the next wee while for anyone who is interested.